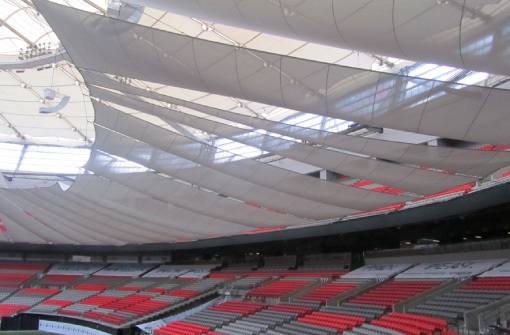 BC Place Stadium Winches - Custom Engineering Projects | Thern, Inc. 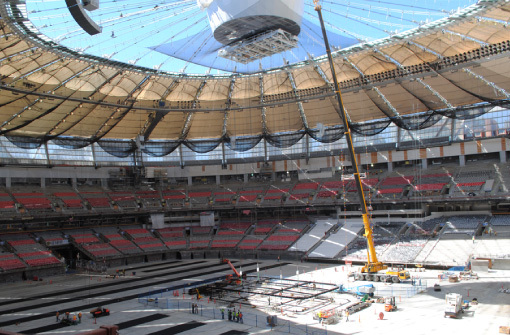 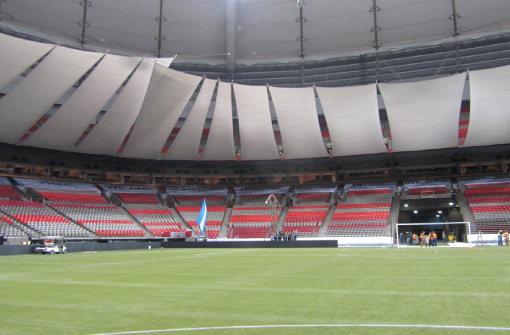 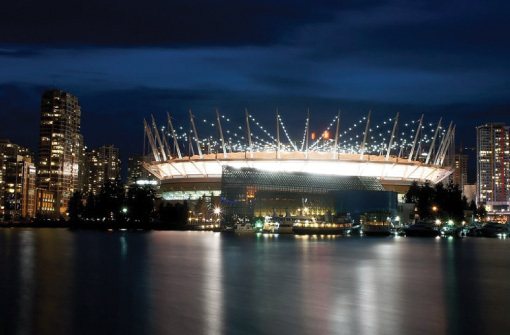 In 2010, the city of Vancouver saw its domed stadium, BC Place, undergo a unique transformation – a renovation would take it from a dome to an open air stadium. 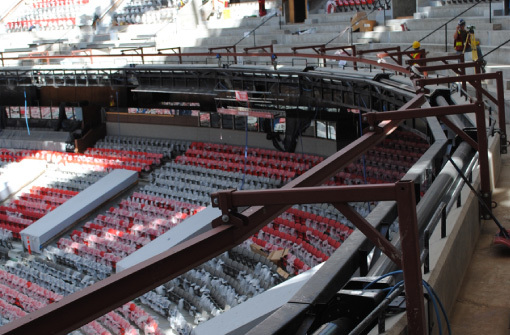 Included in the renovation project was the installation of an elaborate, first-of-its-kind stadium reduction system. 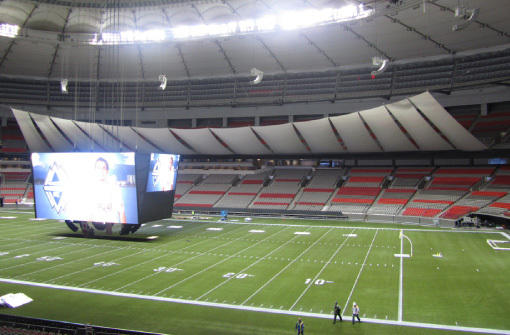 The stadium has a total capacity of 55,000 seats, but for smaller events the upper deck is not required. 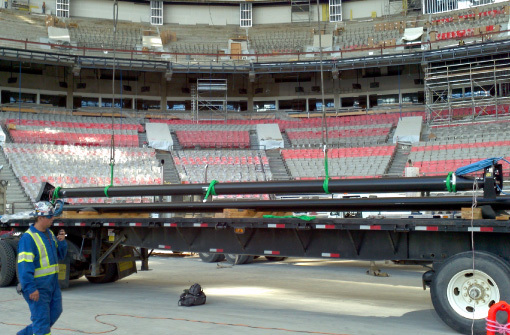 Thern built 54 custom roll drop winches that are installed at the bottom of the upper deck and circle field. 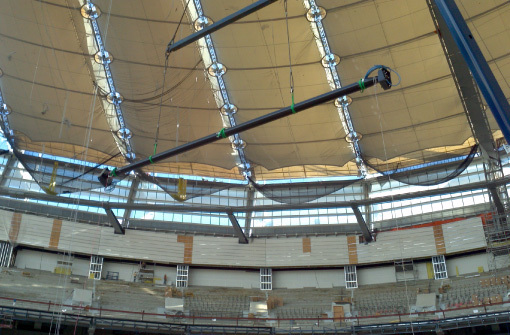 They are all tied into a central remote control system and are used to deploy and retrieve large fabric drapes, that when deployed create a false roof for the stadium, making it appear smaller when desired. 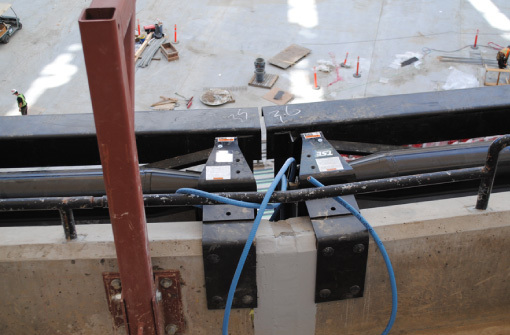 It’s a cutting edge system… made possible by Thern. 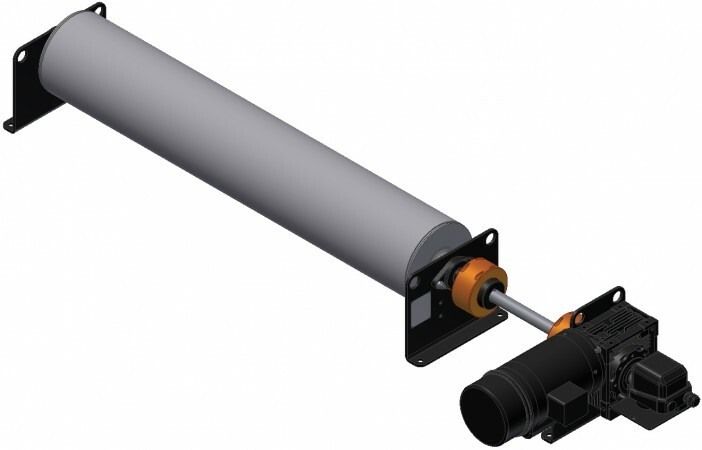 Thern, Inc. is a global winch & crane manufacturer proudly based in Minnesota with 70+ years of experience providing top-quality lifting, pulling, & positioning equipment.